Another trip down memory lane. This time it is due to Goodrich Castle. So much has changed since my last visit over 30 years ago. 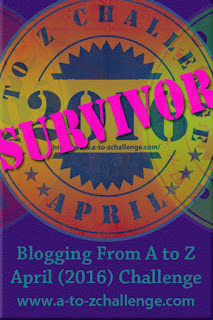 I wrote a little about that during the A-Z blogging challenge. Back then there was no entrance fee, you could walk right into the ruin. The ground was grassy and uneven, there were no information points or wooden stairs to replace the missing stones ones. On the wall was the traditional plaque – The Ministry of Works – indicating the government owned the castle. Now, years later, English Heritage maintain the site and they do an excellent job. The ground is even, towers accessible and there is useful signage. My kids were entertained by taking part in activities including playing with pikes and wooden muskets, charging across the inner bailey and shouting at an invisible enemy. Lots of fun. Beneath the wall, by the moat, were the ruins of the stables. During the English Civil War, the stables were burnt down, and the precious horses stolen. Roaring Meg, the large mortar, bombarded the walls and ended the castle’s reign. The canon now takes pride of place in the bailey. Outside the gatehouse, across the drawbridge, is the barbican, which is an additional fortification used to protect the entrance to the castle. It also served as a waiting area for arriving guests, complete with benches for them to sit on and toilets too. It’s odd to think of castles providing comfort, but of course, they were homes. The castle was built by one of the great Marcher lords Richard de Clare, who conquered parts of Ireland, then it passed to the powerful William Marshall, who built many castles before Henry III gave it to the de Valance family. Goodrich was considered an up to date castle for its time with its sophisticated defences. Ruined by the Parliamentarians during the Civil War, the castle has at last come back to life.